Dow futures for Wednesday, June 10, forecasted a 46-point increase from yesterday's Dow close. On Tuesday, the Dow Jones Industrial Average was down a meager 2.5 points, but the market retreated for the fourth consecutive trading session. The Dow was positive just seconds before the trading session closed, but fell into the red in the final moments. The Stock Market Today: This morning, investors will keep an eye on the EIA Petroleum Report, which will calculate the amount of oil crude in inventory across the United States. With demand on the rise in the United States, expectations are for crude stocks to decline from last week. Meanwhile, investor sentiment will weigh heavily on macroeconomic issues like the recovery of bond yields, expectations for a rate hike, rising oil prices, and the ongoing drama over Greece's debt negotiations. Oil Outlook: Oil prices rose sharply on Wednesday morning as crude oil and gasoline inventories slipped more than energy economists expected. WTI crude futures for July ticked up 2.5% this morning to hit 61.60 per barrel. Meanwhile, Brent oil was up 1.7% to hit $66.03 per barrel. Earnings Reports: Companies reporting earnings this morning include Box Inc. (NYSE: BOX), Francesca's Holdings Corp. (Nasdaq: FRAN), Krispy Kreme Doughnuts Inc. (NYSE: KKD), Luby's Inc. (NYSE: LUB), and Men's Wearhouse Inc. (NYSE: MW). Pre-Market Movers No. 1, LUV: U.S. airline companies Southwest Airlines Co. (NYSE: LUV) and American Airlines Group (Nasdaq: AAL) both offered disappointing second-quarter revenue forecasts. The announcement comes at a time that many analysts anticipate weakness in the airline industry despite the summer travel season kicking off. On Tuesday, Southwest announced that it was implementing a $5 increase to select fare routes, even though its CEO announced that it was on pace for record quarterly profits. The price hike comes a week after its competitor JetBlue Airways Corp. (Nasdaq: JBLU) imposed similar rate increases. Southwest shares have slid for six straight trading sessions. Pre-Market Movers No. 2, BOX: Shares of Box Inc. (NYSE: BOX) were flat in pre-market trading, a day after the stock fell nearly 4%. The cloud software company went public in late January and it will report earnings for this first time this morning. Box is expected to report a $0.31 loss in the first quarter. Shares have fallen more than 31% since the company's January IPO. Pre-Market Movers No. 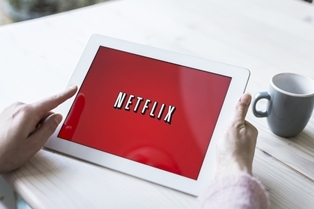 3, NFLX: Shares of Netflix Inc. (Nasdaq: NFLX) are up 0.7% in pre-market trading on news that its investors approved a large increase in the number of shares that the company may issue. This is the first common step in what would be a Netflix stock split. The company's CEO Reed Hastings said during the firm's annual shareholder meeting that it will seek approval for a stock split from its board of directors. Stocks to Watch No. 1, MSFT: Software giant Microsoft Corp. (Nasdaq: MSFT) will announce the pricing and availability of its largest product ever, a wall-mounted Surface Hub. The device is an enormous cloud-connected screen that allows employees to use it as a digital whiteboard and video conference hub. Shares of MSFT stock were up 0.3% in pre-market trading. Stocks to Watch No. 2, TSLA: Electric vehicle and battery manufacturer Tesla Motors Inc. (Nasdaq: TSLA) held its annual shareholder meeting on Tuesday, with the company reporting a number of key announcements. First, the company's CFO Deepak Ahuja, who began his career with the firm in 2008, has announced his retirement. Second, CEO Elon Musk said that the company may release its auto-pilot features to "beta" customers later this month. Musk said that he has been personally testing a version of these features "every week." Finally, the company announced that its Powerwall stationary batter is poised to double its power capacity, although its starting price will remain unchanged at $3,500. TSLA shares were down 1.8% this morning. Stocks to Watch No. 3, TGT: A public relations mistake could get someone in marketing fired by the brass of Target Corp. (NYSE: TGT). Yesterday, the Big Box retailer was forced to retract a press release that announced the company was poised to increase its dividend and introduce a stock buyback program. The information was released in error ahead of a board vote that was set for last night. Expect news on the company's strategy in the morning hours from its marketing department. Stocks to Watch No. 4, AAPL: Shares of Apple Inc. (Nasdaq: AAPL) retreated 0.3% as the company continues the second day of its annual Worldwide Developers Conference (WWDC) in San Francisco. There have been few hardware announcements by the company, which will see its Apple Watch hit more retail stores this month. The company announced more details about its new streaming service Apple Music, which will launch on June 30. It will run on iTunes, iOS 9, and OS X and be available on Android devices in fall. But, don't follow the herd into thinking the Apple stock price won't deliver – here's why it's still a good buy. Quarterly Services Survey at 10 a.m.